Justice Department Inspector General Michael Horowitz, the leader of the government’s watchdogs who is already probing the FBI’s conduct during the 2016 election, is now being counted on to find lost bureau text messages some lawmakers believe show unfair treatment of President Trump. Last Friday, Horowitz’s agenda broadened when Attorney General Jeff Sessions responded to growing demands by House and Senate Republicans that Justice track down missing text messages between FBI special agents that critics say demonstrate bias among some bureau employees who have worked on Special Counsel Robert Mueller’s investigation of possible links between Russia and the Trump presidential campaign. Horowitz is also probing the FBI’s conduct under then-director James Comey in the run-up to the 2016 election when Comey made comments to lawmakers that became public about the nearly complete investigation of Democratic presidential candidate Hillary Clinton’s handling of emails when she was secretary of State. The IG has clashed with the FBI in the past, seeking access to documents that the bureau said were protected under national security concerns. More recently, Horowitz told Democratic lawmakers in a letter published by Politico that the Justice Department did not consult with the IG’s office before releasing FBI text messages. On Friday, Sessions released a statement saying his department was committed to producing for six congressional committees text messages between FBI employees Peter Strzok and Lisa Page from July 1, 2015, to July 28, 2017. “The inspector general has been reviewing these texts based on ‘allegations that department or FBI policies or procedures were not followed . . . and that certain underlying investigative decisions were based on improper considerations,’” he said. But he acknowledged that after reviewing 50,000 texts and turning them over to Congress, some in the FBI’s internal messaging system were missing for five months between Dec. 14, 2016, and May 17, 2017. Later on Tuesday, Johnson was joined by Sen. Chuck Grassley, R-Iowa, chairman of the Judiciary Committee, in writing to Horowitz requesting an explanation of why the IG apparently delayed in alerting Congress to the missing text messages. Democratic House members on Tuesday countered their Republican counterparts with their own statement. “Republicans are now attacking the FBI in order to undermine Special Counsel Mueller and protect President Trump, but their claims are directly at odds with the facts,” said Judiciary Committee Ranking Member Jerrold Nadler, D-N.Y.; Oversight and Government Reform Committee Ranking Member Elijah Cummings, D-Md. ; and Intelligence Ranking Member Adam Schiff, D-Calif. “Republicans condemn FBI officials for supposedly taking action during the presidential campaign to assist Clinton and harm Trump, but this ignores the plain reality that these same FBI officials were involved in notifying Congress just days before the election that the FBI was reopening the Clinton investigation—an unprecedented action that severely damaged Clinton’s bid for President." At the same time, they continued, “the FBI had an ongoing investigation of the Trump campaign’s connections with Russia, as well as reports that the Russians had compromising information on the candidate, but kept all of this information confidential in the months before the election—actions that greatly benefited the Trump campaign." 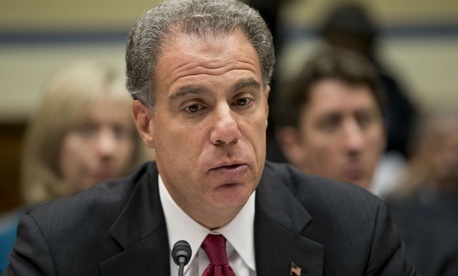 Horowitz testified to Congress in November that he hopes to have his report on the FBI’s conduct in the 2016 election by March or April. This story has been updated to reflect Sen. Grassley's role in communicating with Horowitz.